app. 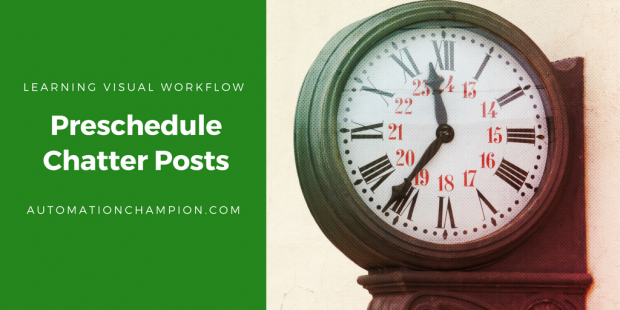 In this article, I will show, how you can develop your own app for rescheduling Chatter Posts too without code. Higher management at Universal Containers wants to develop an application for their organization from where they can preschedule Chatter posts. They also want to use this app on Salesforce1. 2) ParentId: – ID of the object type to which the is related. 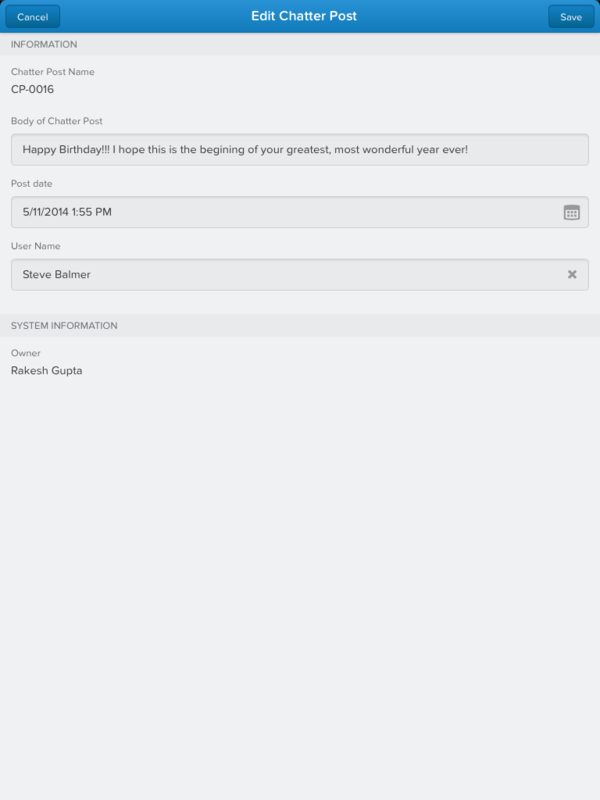 For example, set this field to a UserId to post to someone’s profile feed, or an GroupId to post to a specific Group. 3) Type: – The type of FeedItem . In our case it’s Textpost. 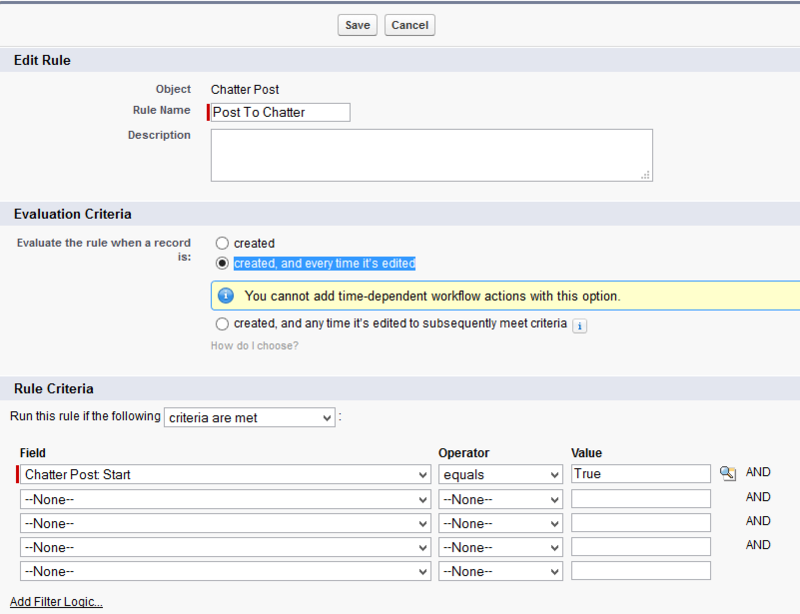 In this app we will use two workflow, as you all are aware of we can’t use Flow Trigger (Pilot) with time-based Workflow. 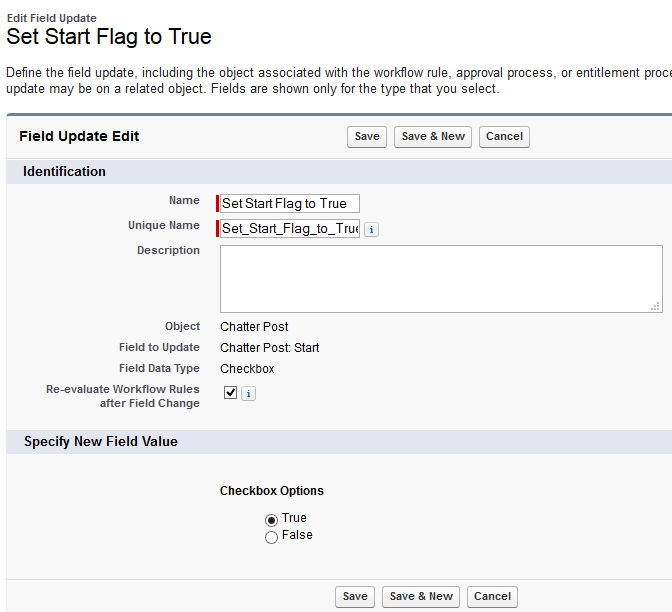 Every time when you create a new record for custom object (Chatter Post) our first time-based workflow will fire and set Start checkbox to true according to your Post date. 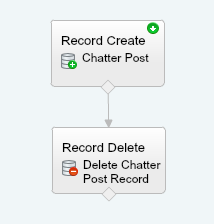 Because of this field update action it will fire another workflow rule that will invoke your Flow and post your message on Chatter . 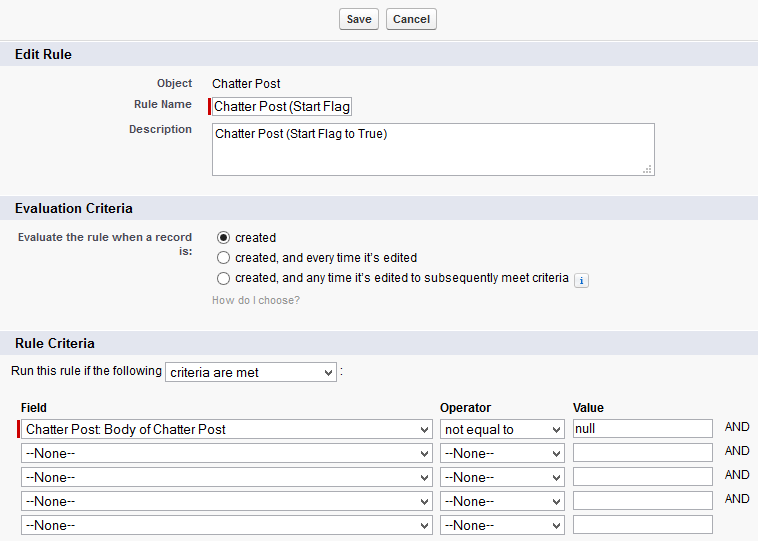 Once our post is published on Chatter it will delete your record from custom object (Chatter Post). 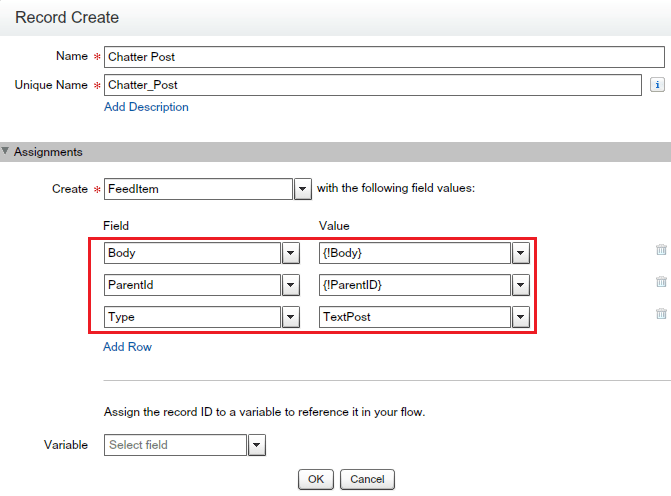 Note: – In this article I used Flow Trigger (Pilot) feature. 2. Click on New Flow, it will open flow canvas for you. Create two text type variable Body and ParentID. 6) Save the flow and close the canvas. 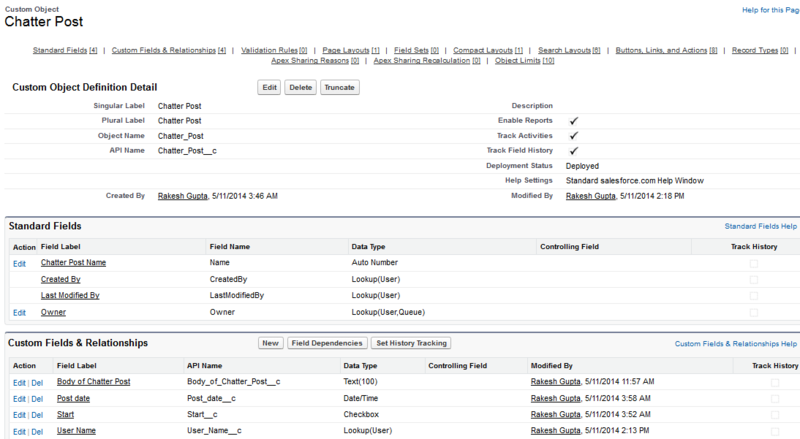 Note: – Don’t forget to select Re-evaluate Workflow Rules after Field Change checkbox. 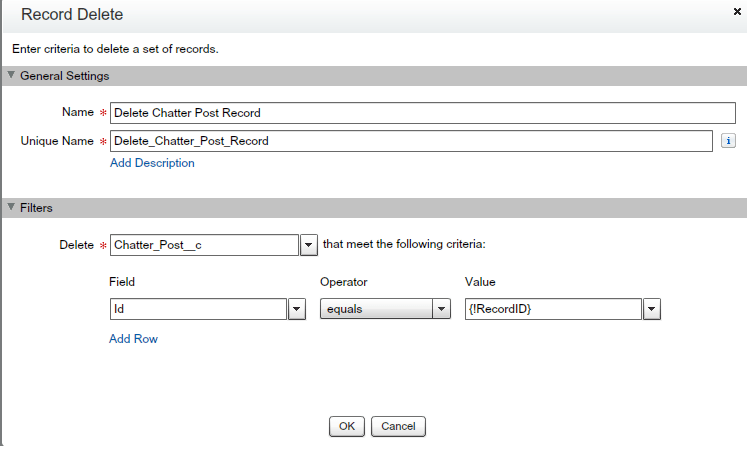 Once Scheduled Date over go to Chatter tab and see the magic and your record will get deleted from Chatter Post object. 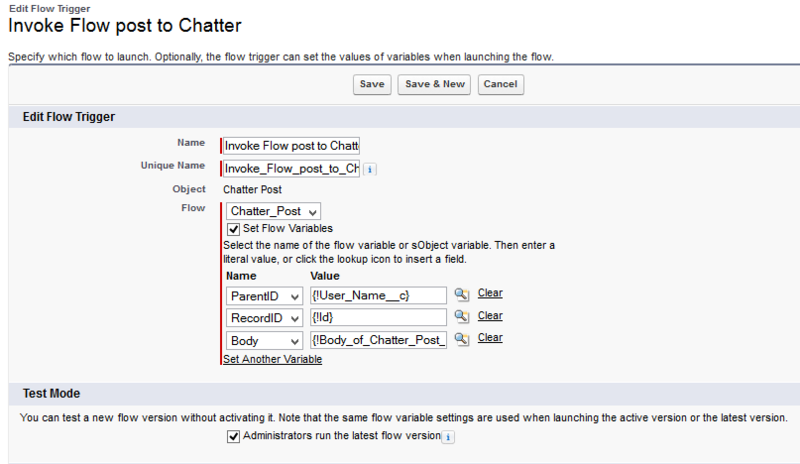 I am just checking this, I am not able to see New Flow ( Step 6) in my instance, Could you please help me in this..